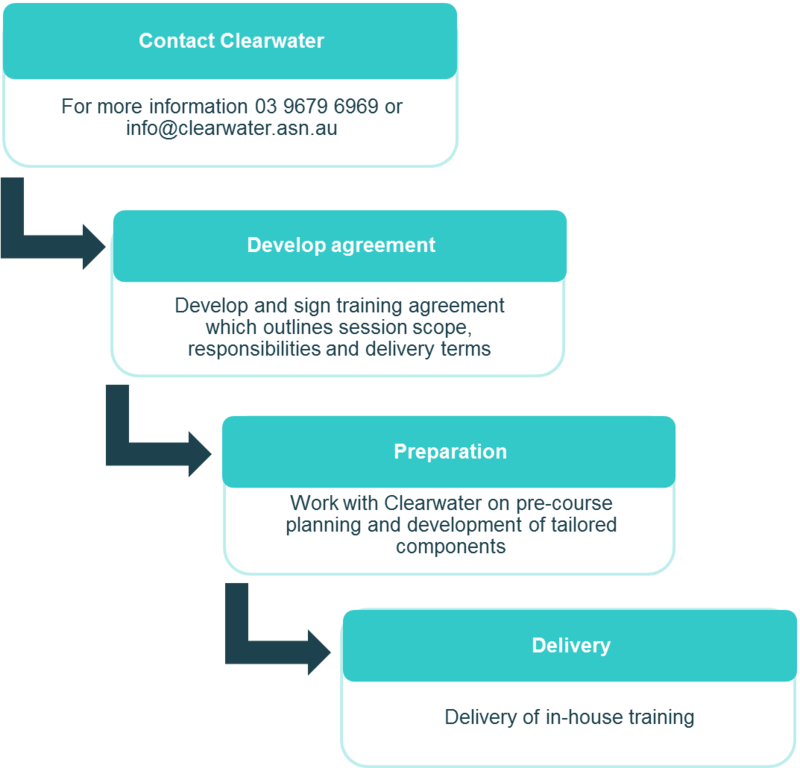 Clearwater’s in-house training provides your staff and contractors with a tailored and interactive learning experience. Our trainers are experts in their field and bring a wealth of knowledge and experience. Clearwater and Melbourne Water’s Living Rivers Program have developed the Construction Hold Points training to build in-house knowledge, confidence and skill to ensure all parties understand the key construction hold points required for bio-retention systems and wetlands. Hold points are defined as the point in time where work must cease until all tasks have been checked, completed, approved and signed off by all parties. This training aims to improve theoretical and practical understanding to ensure WSUD assets are constructed as designed and fully-functional to accept at handover. Each session incorporates a number of tailored components enabling you to communicate your organisation's strategies and plans to build awareness and buy-in. In particular, the closing facilitated discussion with action planning activities encourages staff feedback and discussion on current WSUD asset construction issues. This final session will support your organisation to identify what is required to develop ongoing commitment for embedded construction hold point procedures. 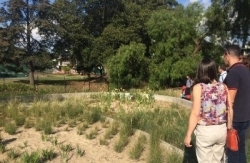 This training is ideal for all local government staff and their contractors who are responsible for bioretention and wetland construction management, site inspection, project management and hand-over sign off. It is also relevant for staff building organisation support for WSUD and for bioretention and wetlands design engineers. Costs are based on Clearwater delivering the session in-house to a group of 15-20 participants in Melbourne's Metropolitan Area. Councils within the Melbourne Water area of operation can apply to the Living Rivers Program for funding to run this training in their council– funding rounds usually open in February and September each year. Applicants will need to demonstrate their proposal meets the Living Rivers Program funding criteria, in particular how this training will deliver improved stormwater management, enhancing waterway and bay health. Due to the technical content of this workshop, participants should have a basic understanding of WSUD principles and different types of stormwater treatment technologies.